It has become a tradition among genre authors to write a post at the start of each year listing their works from the previous year that are eligible for awards. Some people see these as grabs for attention, but I think mostly they’re just informational. If a reader wants a reminder of what an author has written, or is in any doubt about what works are eligible for what awards, then an award eligibility post clears things up neatly. Belt Three is eligible for the Hugo and Nebula awards for Best Novel, and any other Best Novel Awards. Because it’s my first professionally published work, Belt Three also makes me eligible for the John W. Campbell award for Best New Writer, and any other New Writer or Debut Novel awards. I’m not going to say that I think Belt Three is worthy of an award, or that I think it isn’t. Mostly I just like being able to list it! To tie in with the paperback release, I have a post on Harper Voyager’s blog, in which I talk about things to consider when designing a fictional spaceship, using Belt Three‘s Remembrance of Clouds as an example. I’m on the radio! Art Hartmut of the Writing Life show on Vancouver Co-op Radio interviewed me about Belt Three, science fiction, and my writing process. It includes dramatised readings of a couple of excerpts from Belt Three. Listen to it on the show’s website. Laura Liddell Nolen has interviewed me on her blog, where I talk about gravity, names, and where my writing style came from. Earlier today I posted my interview with Laura about her excellent YA science fiction novel The Ark. Also today I have a Q&A on the Harper Voyager blog, where I spill the beans about which literary classics influenced my book. 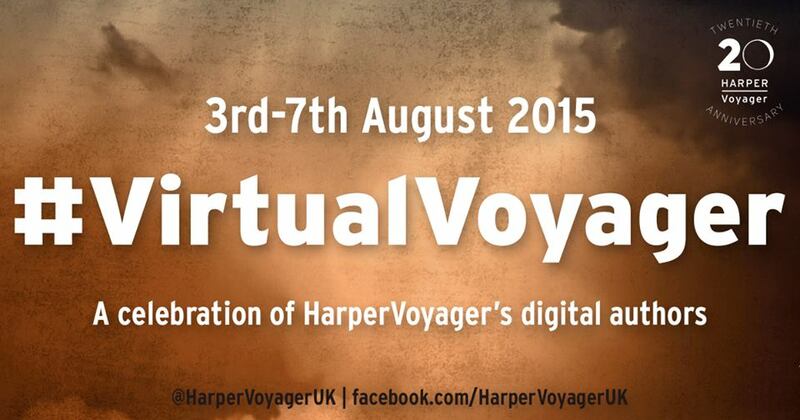 That’s it for #VirtualVoyager, but you have until Sunday night (UK time) to get Belt Three or any of the other fabulous Harper Voyager books for the reduced price of 99p / $1.99. 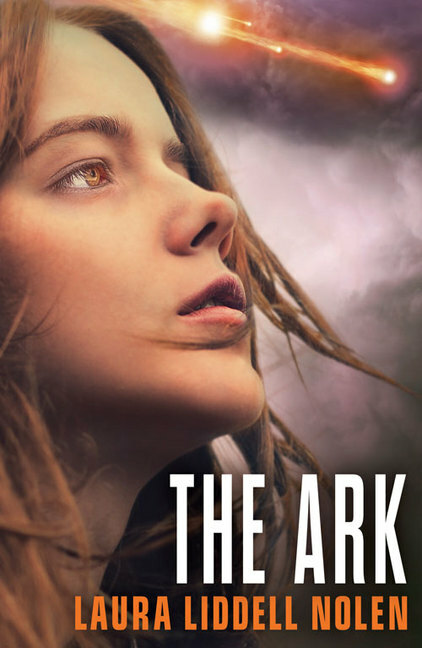 Laura Liddell Nolen‘s YA science fiction novel The Ark came out earlier this year from Harper Voyager. I interviewed her as part of the #VirtualVoyager festivities. JA: Where did the idea for The Ark come from? Why did you decide to write about the Earth being destroyed? I have an interview on Gerrard Cowan’s blog, where I talk about about zombies, politics, my favourite Star Trek episode, and writing science fiction without a science background. Yesterday I posted my interview with Gerrard about his forthcoming fantasy novel The Machinery. Also today I have a guest blog post at Parmenion Books, where I talk about how I wrote Belt Three. Gerrard Cowan‘s debut fantasy novel, The Machinery, is coming this September from Harper Voyager. I interviewed him about the book as part of the publisher’s #VirtualVoyager online festival. JA: The Machinery has a striking concept–an omnipotent machine that rules an empire. How did you get started writing it? Did the idea come from anywhere in particular? GC: Thanks! It’s slightly different than that. The Machinery picks the rulers of the Overland through a process called Selection; they could be anyone, no matter their age, wealth, etc. Its Selections are then communicated to the people by an immortal being called the Operator. So technically, these people rule the empire, though the Machinery has of course put them in place because it has identified them as appropriate leaders. Six people are Selected: the Strategist, who is the ruler of the Overland, and five Tacticians, who serve under the Strategist. There is a Tactician each for the North, South, and West, a Tactician for Expansion (war, basically), and a Tactician for Watching, a kind of intelligence service meets secret police. However, there’s a problem – an ancient Prophecy claims that the Machinery will break in the 10,000th year of its existence, Selecting someone who will bring ruin to the world. It is now the 10,000th year, and a Selection is about to take place. The idea just came to me one day about seven years ago. It started off as the central concept – a machine picking the leaders of a country – and everything else came from there. I liked the idea of placing a very unusual system of government at the centre of a Fantasy story.